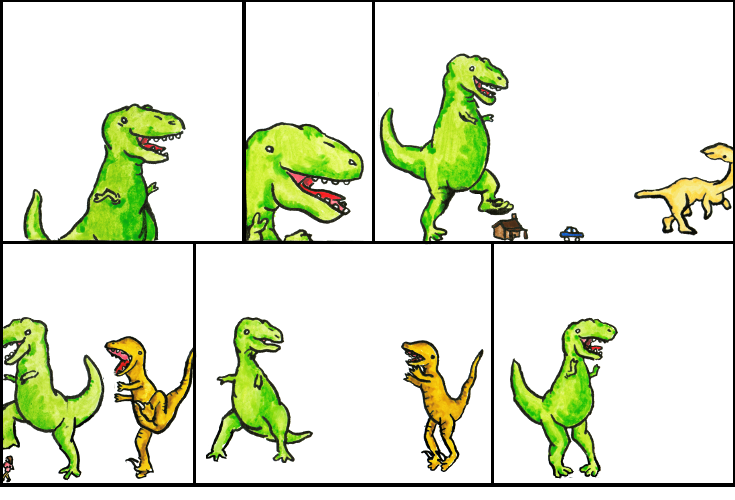 Dinosaur Comics - February 26th, 2007 - awesome fun times! –What's that, Radio? Street artists have moved indoors? February 26th, 2007: World Community Grid is a distributed computing project that gears itself towards things that can help people: protein folding, muscular dystrophy, fighting cancer and AIDS, and so on. It's like SETI@home, only instead of using your spare CPU cycles looking for aliens, you're looking for ways to help people here on Earth! If you want the satisfaction of using all your CPU cycles (a satisfaction that is subtle, nuanced, but real) then I would recommend World Community Grid - I've been a SETI guy for years but NO ALIENS YET, so FORGET THOSE GUYS (the aliens, I mean.) Also, you can run both if you want to!